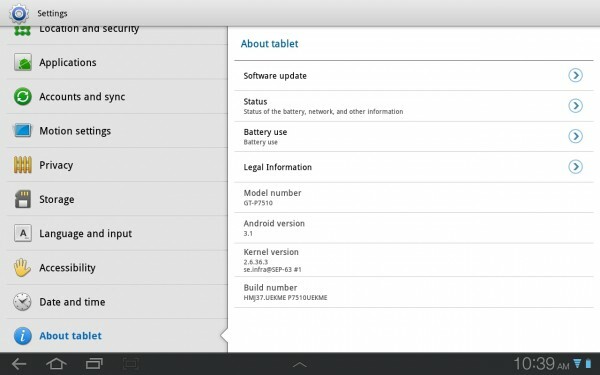 The WiFi Samsung Galaxy Tab 10.1 appears to have a new update available that brings the tablet to version P7510UEKME from P7510UEKMB. The file is just 3.5MB in size and is definitely not Android 3.2, so we’ll assume that it is simply fixing a couple of bugs introduced by the TouchWizUX update. Jump into Settings>About tablet>Software update now to see if it is available to you.